I’m not picky. When I told my real estate agents what I wanted in my new apartment, nothing was too specific. City? I didn’t care, as long as I could get to work. Space? Small to large, I only needed enough room for two people. View? Brick wall or park, it didn’t matter. I only had one preference when it came to anything my significant other and I viewed. It had to have some sort of space for my creativity. I didn’t care where it was: A quiet alcove in the kitchen, a larger than life extra closet in hallway and/or an extra bedroom; I had to have somewhere for me. For as long as I can remember, I had to have my own personal creative space. 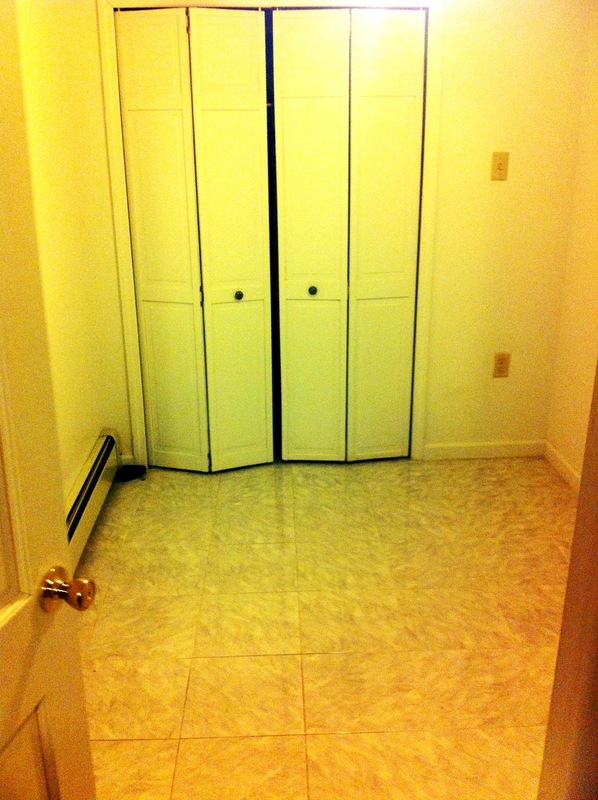 As a small child, my parents had an extra walk-in closet in their bedroom that would become my drawing office. During my pre-teen years, my father created a mini-studio where I’d live out my femcee stage. In college, I had a special isolated space in my dorm or apartment where I could craft to my heart’s desire. Now, I’ve moved into a space with a second and smaller room that is now my current writing office. 1) You’ll need inspiration. I’ve got Brianna McCarthy, Frida Kahlo artwork and profiles of Junot Diaz and Langston Hughes. These people and images spark my writing every time I look at them. What motivates you? Adorn your space with it in frames, statues or whatever material reflects your stimulations. 2) Music, music, music. Whether it’s an iPod dock, CD player or old-school boom box; you need something that will give you a surround sound of your favorite tunes. 3) Timepiece(s). An outdated piece that will inspire your development. Have something in your space that symbolized the innovation and progression of your trade. I have an old and rusty blue typewriter in the corner of my space. A friend of mine, a comic book artist, has her grandfather’s sketchbook on her desk. When you look at it, let it remind you that many people made the strides across tribulations so you could create freely. 4) Shelves and boxes. If you’re the extremely organized individual, grab some interesting shelving from the container store, label, and categorize your things. If you’re the avid reader, align your books in a way that’s easy to find them: by color, topic or Dewey decimal. Wood casing and chalkboard paint for the shelves. I didn't do it all alone. 10-year-old Justin did much laughing and entertaining while I painted shelves. Hmmph. The chalkboard bookshelves came out great! They're awesome for organizing by category. 5) Clean slate. After every work session, try to put things back into their place. Going back to your workspace should be a freeing experience. Your nook should be free from clutter and madness; two things we have to deal with incessantly on the outside. 6) Silence. Unless you’re playing music, try and minimize distractions. Keep the TV off, the cellphone away and alert everyone that you live with that you need your space and time alone. Journals, reference and iPod dock; all in a reachable distance. 7) Your tools. Plan to slowly purchase things that will make your office life easier. It’s annoying to have to jump from place to place to complete your tasks. Artists, collect the paintbrushes that will make your Picasso priceless. Businesswomen, buy electronic devices that will make your work easier. Don’t make a mad dash to Kinkos to print the presentation that you have to present in a few hours. Writers, keep your tools in this one space. It’s the most annoying thing to have to grab things you need to refer to/use, from all over the house. 8) A comfortable chair. THIS IS IMPORTANT. Sitting in something uncomforting for several hours could lead to stress, painful back spasms and the avoidance of your office. Invest, invest, invest. 9) Peace of mind. Make sure you leave your issues somewhere else, before you enter your sacred space. Bring only the things you’ll need for crafting. Most importantly, bring your solitude. I have to say that I am jealous...I want a creative nook! Ahh one day. It looks great! Ironically, I am working a post about not having a space and wondering where to catch my moments of zen. This is dope! I might steal the chalkboard desk idea. I got so much life off of this post! Your office is so dope! Can't wait to have one of my own. Love love love!!!! The chalk paint is my favorite part of the design! Everyone is need of a space that provides serenity that will allow you to free your mind.